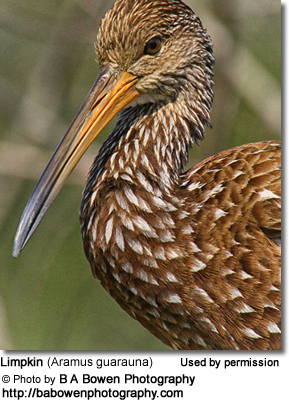 The Limpkins (Aramus guarauna) are large rail-like birds that are, however, more closely related to cranes. 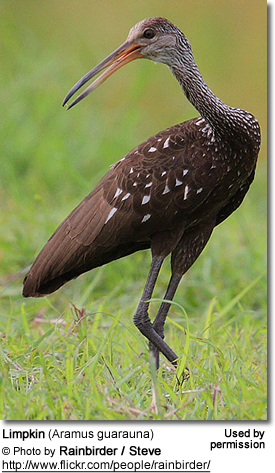 These birds are also referred to as Carraos, Courlans or Crying birds. 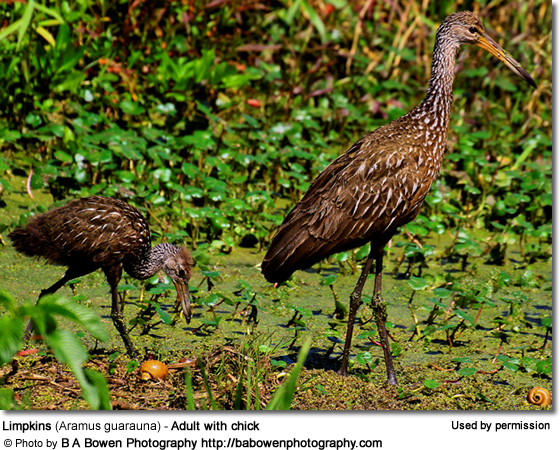 Their range stretches from Florida in Southern USA south to northern Argentina, where they inhabit freshwater marshes and swamps.